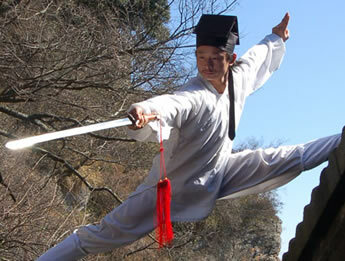 • Priest Chen Shi-xing is an orthodox exponent of Wudang wushu and a 15th generation disciple of the Wudang Sanfeng Sect. 1. You must check Federal, State and Local laws to find out if this product is illegal in your area. 2. We assume no guarantee nor responsibility for your import customs clearance. 3. We will not sell weapons to minors and disclaim all liability from the use of the product. 4. The product may vary slightly from batch to batch. 5. Specify your body height where applicable for a matching weapon length.